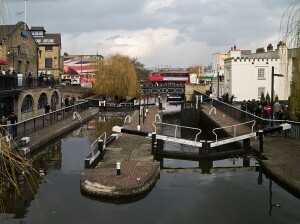 Camden Town or just Camden, a shortened term which most of the locals use, is a district in the NW1 area of London, very close to Euston and Charing Cross, on London canal network. 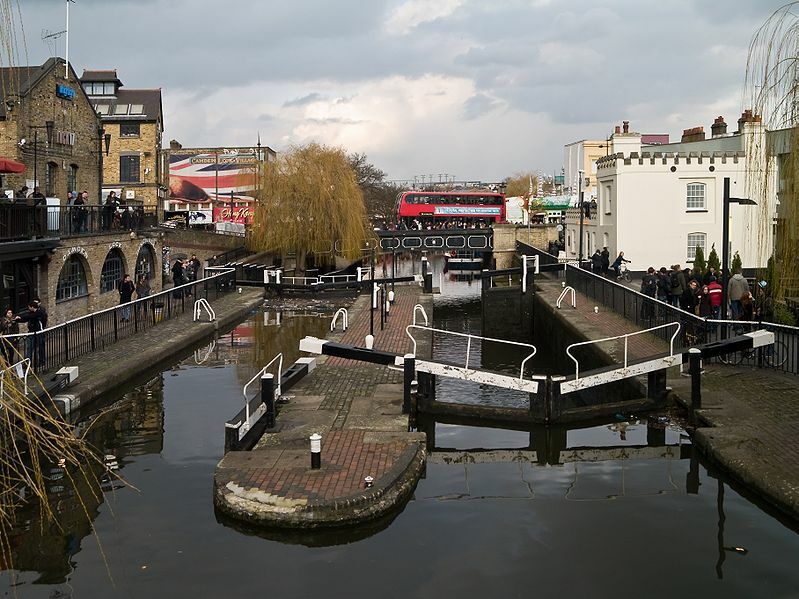 Camden Town started to be a residential area since 1791, ever since Camden Lock Canal passed on from the stage of being just an idea. Its purpose was to link the Grand Junction Canal at Paddington with the River Thames at Limehouse. Before this time, Camden was just a countryside area, considered to be an outside of London, with a few isolated buildings and inns. One of them was the Mother Red Cap Inn, located on the spot where we can now find World’s End pub. At first, in the beginning of the nineteenth century, Camden Town was a quiet middle class suburb. This started to change when Camden Chapel was built in 1824, an impressing abbey, constructed in the neoclassical style. In the years to come, Camden became full of life. Economically, it started to flourish. The population grew and it became diverse. Soon, the district changed its industrial atmosphere and presented itself as a touristic, commercial and entertainment one. In Camden, you can visit some of the most famous markets in Europe. You can find all sorts of things there, for every taste: from books and antiques to fashion items or clothing for alternative rockers. Camden is well known among the young people because we can find here the MTV headquarters. Also, a lot of artists have lived in the district: Dylan Thomas, Gwyneth Paltrow with her husband, the Coldplay singer Chris Martin or Amy Winehouse. If all of this seems exciting, then you should also know that, in Camden, the modern sites, as the ones above, and the historical ones are merging very well with each other, offering us a complex and beautiful place. This is what else you can visit: The Camden Eye at 2 Kentish Town Road, a former prison, the Art Deco Egyptian Revival building, The Jewish Museum, the houses of the French poets, Arthur Rimbaud and Paul Verlaine, and also the Camden Catacombs. In order to get rail transport from London Heathrow Airport to Camden, you have to take the Heathrow Express Service towards Paddington Underground Station and then use line 27 bus to Camden Town, Hartland Road Camden Market (Stop CQ). There are also other transfer options such as using a taxi service from Heathrow Airport or Paddington to Camden. So as to travel by car from London Heathrow Airport to Camden, you must take the A4 and the A406. London Heathrow Airport is 19.4 miles away from Camden. A journey by taxi from London Heathrow Airport to Camden with 247 Heathrow Airport Transfer is going to last almost 1 hour. The price of a taxi service from London Heathrow Airport to Camden NW1 starts from 38 GBP for a saloon car.